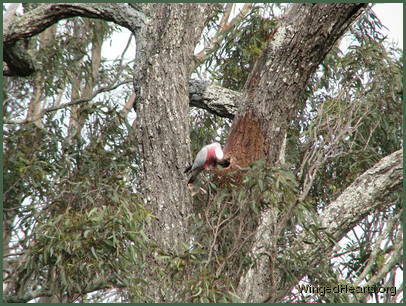 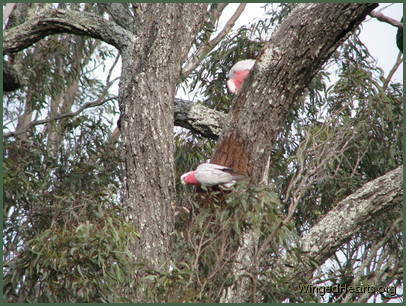 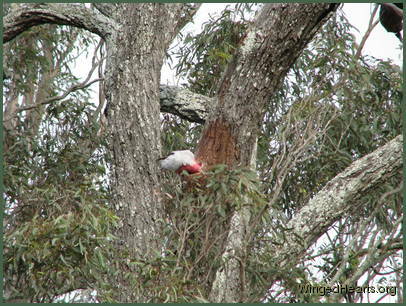 Gum trees have plenty of nooks for our galahs and lorikeet neighbours. 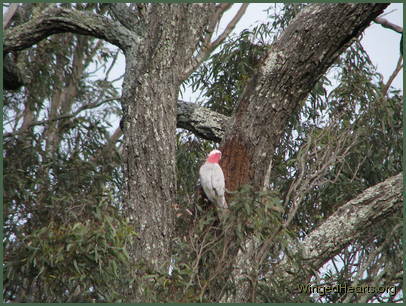 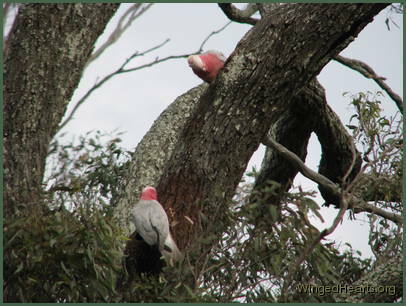 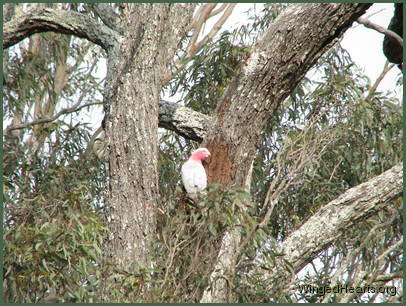 The galahs in our yard had already shown us their nest earlier in the season and the new corellas too had called us for a house warming. 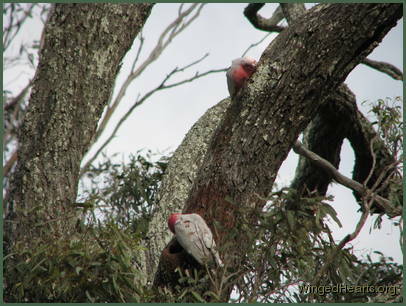 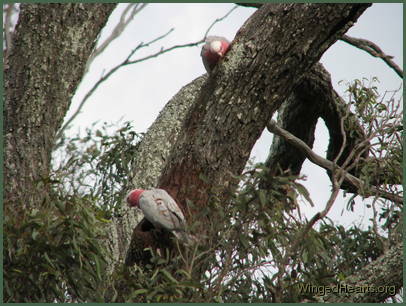 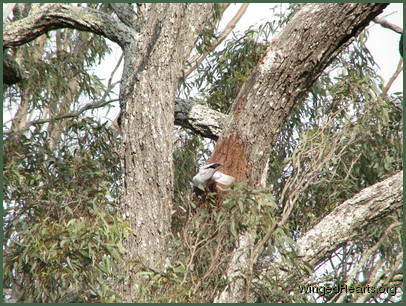 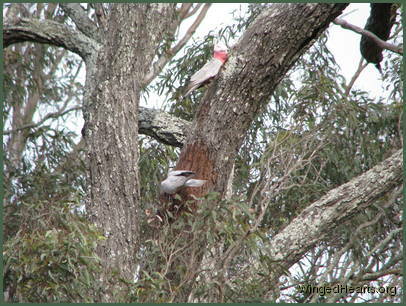 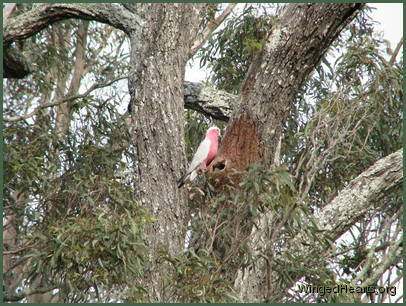 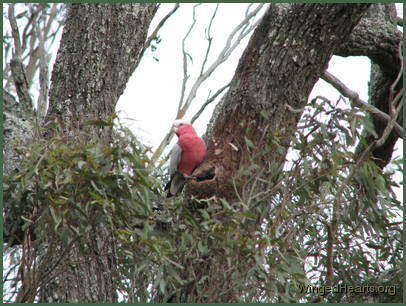 After Vicky and the crows swapped their nests, we were trying to spot any crow chicks in their new dwelling, when another pair of galahs took the opportunity to show us their new dwelling. 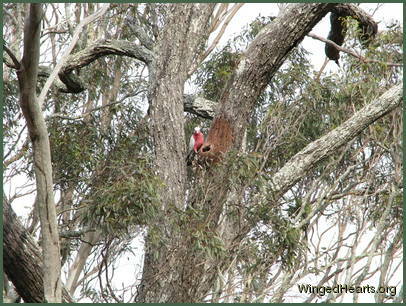 Click on the slides to see what we saw. 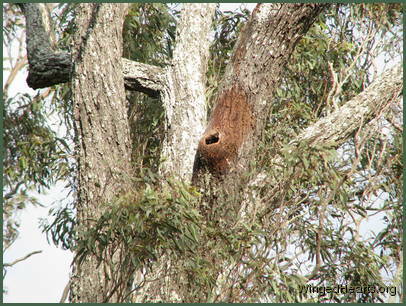 Previous Slide 1/14 NextRoom With A Natural ViewA perfect spot for a classy nest Will this be the new owner A peek inside is a must only if coming out was as easy Hmm... who can give me a second opinion... let me have another look I'm really not sure of this My trusted partner can give me his opinion he likes it enough to start debarking the tree that will help keep predators at bay the band will need to be stretched further and a wider door will make it just right.